Retailiation: Retail Insights with bite. : Tesco: Seeing the light, where's the tunnel? Retailiation: Retail Insights with bite. Tesco: Seeing the light, where's the tunnel? 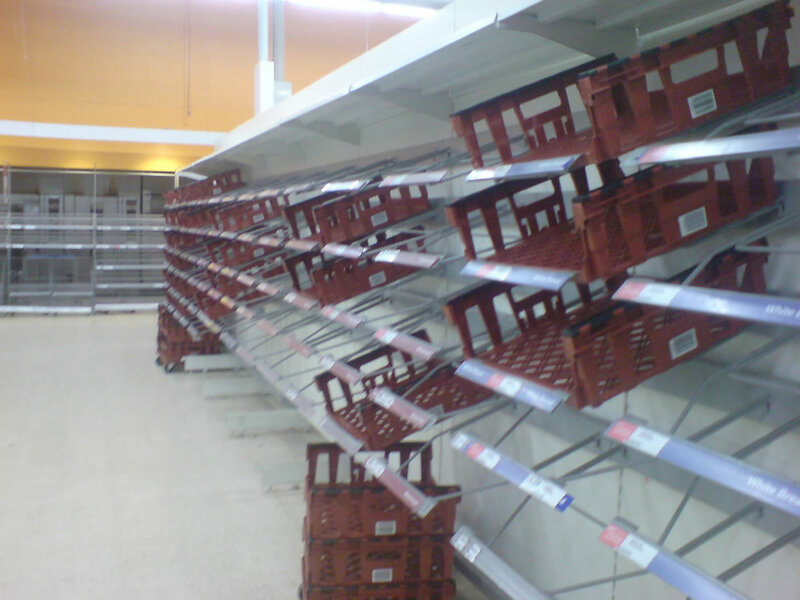 When Philip Clarke took over as Tesco boss, no one anticipated the pace of structural shift in shopper behaviours that is destabilising retail. Tesco were the most convenient and ambitious UK retailer; they were and still are number one. So why does it feel so dire? The harsh reality is almost every reason underpinning Tesco's last twenty years of success has been turned upside down and inside out. It is hard to see any light at the end of Tesco's tunnel. As enticing as it may be to believe Tesco decoded some retail holy grail and locked the secret away, deep in Cheshunt, the reality is much simpler and far less romantic: they have more stores than their competitors. According to the IGD Tesco operates over 3,300 stores in the UK with over 3.8million square meters of retail space. By contrast, Sainsbury have slightly more than 1,000 and ASDA over 500. Nor are the stores equally spread. Asda's northern and Scottish predominance presents serious growth potential in London and other regions where Tesco dominate. Tesco are the only truly national UK retailer. Tesco just happen to "be there" more often than anyone else. But lack of choice should never be mistaken for love. When Tesco launched Clubcard, it was no Harry Potter wizardry either: they just offered shoppers some extra, delayed gratification, value, accessible only through Clubcard. Their customers said "hell, I am here anyway, why not?" Clubcard rolled out along with store expansion. Lots of people signed up, because lots of people shopped in lots of Tesco stores, in lots of places. It was just convenient. And convenience is the point. Most studies conclude the main reason shoppers patronise the stores closest to either their home or place of work, relative to whatever shopping trip / mission they need to fulfil. But, convenience is a moving feast. It used to be a hassle to shop on the high street: It was a high price, time consuming experience. Tesco drove out of town, superstores with spacious and free car parks. Everything under one roof. Convenience delivered. And then came the internet and the symbiotic resurgence of small, proximity stores. Do your big shop on line, and top up the incidentals at a locally convenient, small store, as you need to. That Tesco are growing their online sales is no help either. The greater their online success, the bigger their structural challenges. The economics of operating large stores collapse rapidly when you rip out the high till-ring transactions, and then comes the second-whammy when residual spends head into small stores, even if they are Tesco's. For Superstores, it all means less staff hours to stack shelves, staff tills, cleans floors and provide shopper services. It harms the shopping experience and drives more customers away. A truly vicious cycle. Tesco shareholders call for lower prices, better services and higher dividends: they yearn nostalgically for yesterday, rather than face the uncomfortable truths about today and tomorrow. As the UK grocery world reheats itself, Tesco can innovate all they like, cut prices as deep as they want, but they are, inconveniently, saddled with a collection of dinosaur assets: of Tesco's total shopping space, 76% is taken up by Extras and Superstores. Ouch. Clarke knows this all too well - that's why he called time on Tesco's Superstore development. And while this trend will increase over time, it's not everyone's trend yet. Asda still see Superstore development as a valuable part of their model- they still have plenty of places where shoppers today can't access an Asda store. Tesco's success in online today, is a mirror of their physical success yesterday: they had the shoppers and they got online first. But online is no more valuable a service to Tesco's shoppers than a trolley. It improves convenience. It serves to shift the location of purchase for existing shoppers. It is only an effective recruitment tool for emergent retailer and those with limited physical presence. In other words, Tesco's competitors. Tesco are vulnerable to a online pure-play like Amazon Fresh - who without legacy assets to support will, as an insurgent play, rip the ring out of prices. Scarily, Tesco are unwittingly and unintentionally preparing their shoppers for an Amazon future. Clarke deserves no blame for any of this. If Sir Terry were still in the hot seat his reputation would be looking less shiny. Leahy drove UK superstore expansion, international expansion etc: yesterday's success is today's structural nightmare and whoever sits it the top job, these challenges and pace of change remain. Clarke's problem is he just happens to be there, now. So where from here? There are three possibilities facing Tesco. 1. Tesco exits retail in the medium to long term and becomes a retail /leisure space operator – elements of this are already appearing and before you completely dismiss this idea, remember long before Costa Coffee, Whitbread had a 250 year history as a brewer. 2. Tesco rethinks its land bank and become the UKs biggest provider of affordable housing - this idea is gaining some supporters. 3. Tesco is acquired by a Chinese or Middle Eastern powerhouse keen to get its hands on Tesco's retail systems and talent. It is possible all three could happen. The final catalyst for change is not clear. During one of the rounds of Middle East peace process discussions, Yitzhak Rabin was asked if he could see light at the end of the tunnel. Rabin responded laconically “I can see the light, it’s the tunnel I can’t find”. Philip Clarke may understand this sentiment better than most. gary.carp@outlook.com. Awesome Inc. theme. Powered by Blogger.